Are you looking for the perfect place for your honeymoon? Do you want somewhere that offers beauty, luxury and privacy? 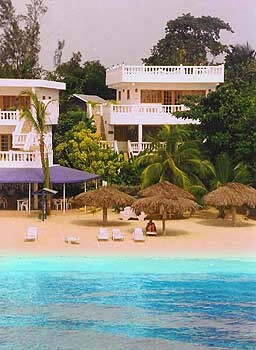 Then look no further than jamaica! at the world famous Beach House Villas! You see, our Jamaican honeymoon experience is one that you can create for yourself. Our villas, although located right on the white sand of Negril beach, are as private and secluded as a newlywed couple would want. Our beautifully furnished Jamaican honeymoon villas combine island charm and new world decadence, so that whether you choose to hit the beach, or stay in for a few days, you will never want for more. So make your Jamaican honeymoon something you will never forget. Spend you honeymoon in Jamaica at the Beach House Villas and see why there is no honeymoon like a Beach House Villas Jamaican honeymoon!